1. How does Google Inbox increase productivity? Google Inbox cuts through email clutter. We receive more email than ever before. According to the Radicati Group, almost 200 billion are sent every day–about twice as much as only five years ago. Much of it we have asked for and want, but may not want to read right away. Google Inbox helps us find what’s most important, while keeping accessible that which we’ll get around to reading, one day. 2. In a corporate environment, what training issues do you foresee? Elegantly designed systems are easier to use. Google Inbox anticipates the user’s needs and automatically organizes mail in an intuitive way. Corporate email users who are used to a decade-old inbox paradigm will need to take a leap of faith and trust that Google can indeed create order from their inbox chaos. 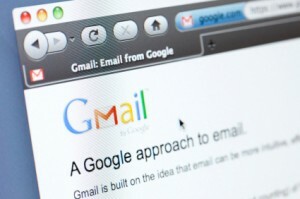 Businesses of all sizes have embraced Google Apps and use Gmail for their mail. Gmail processes mail for over 6.5 million domains today. This sizable install base will feel at home migrating to the new Google Inbox. 3. Is this a big improvement over Gmail? Skimming a stream of inbound mail just got more efficient. Google Inbox lets users peek at messages and act on them without opening them. For example, when you receive a purchase confirmation from an ecommerce merchant, you can track your package with a click because Google Inbox knows that’s what you’re likely to do, and conveniently presents the tracking link. Google Inbox makes a leap forward by anticipating users’ needs. It taps into a vast reservoir of complementary systems to automatically pull up phone numbers, maps, and other details that lead a user to where they naturally wanted to go next. 4. How could it be improved? Google Inbox might alarm email marketers. Email marketers collect engagement metrics by observing who opened their emails and clicked on links within those emails. By providing a “peek” into messages, Google Inbox prevents marketers from clearly seeing who opened their mail. This is a problem, because marketers need these engagement metrics to learn who is interested in their mail and who isn’t. Google Inbox could improve by providing marketers with a new set of engagement insights. To hear more from Paul, read his take on SendGrid’s experience with Gmail’s spam feedback loop.